Show someone you care by sending them a tasty gift. Each box contains 48 chocolate squares. 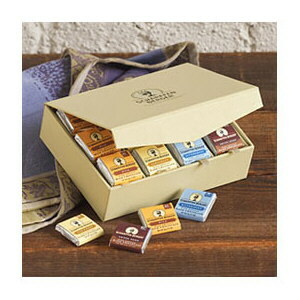 The chocolate comes in a keepsake box with the Scharffen Berger logo and a magnetic closure.